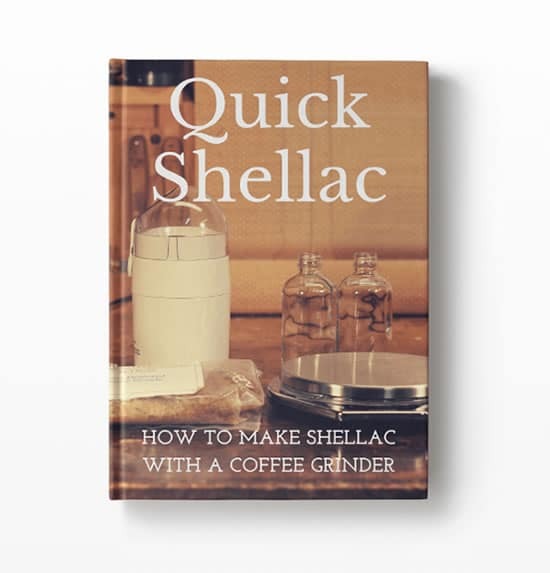 Learn the fastest and simplest way to make your shellac in this handy 18 page eBook, “Quick Shellac: How To Make Shellac In A Coffee Grinder”. In the book master luthier Tom Bills reveals his time tested and simple to follow methods for quickly mixing a batch of fresh shellac using a coffee grinder and other simple yet effective tricks. 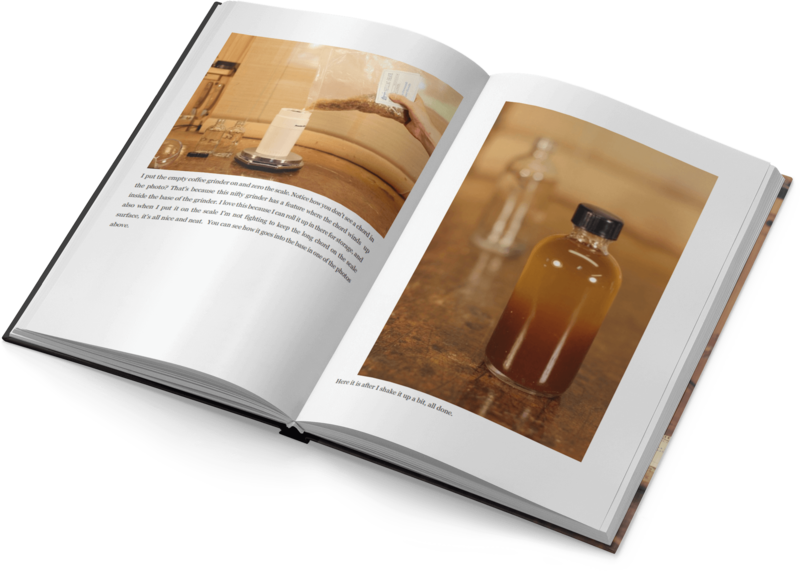 This exclusive ebook also contains a detailed photo tutorial showing each step Tom takes to make his basic “bench cut” also know as a 2 lb cut that he uses to French Polish his guitars, plus many other helpful tips and tricks to help take the confusion out of mixing shellac.